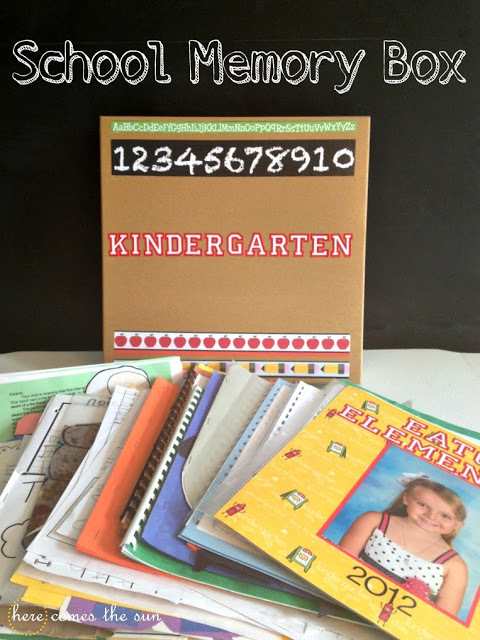 How many of you are thinking about Back-to-School already? 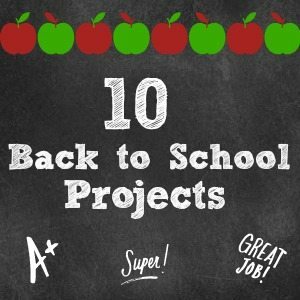 I always have to get into school mode super early because my daughter goes to a year-round school and starts back at the end of July (tomorrow actually). Anyone else out there with kids in year-round? Summer just goes by way to fast. July does not seem like the time to be thinking about packing lunches and homework. Sometimes my daughter gets bummed that she goes back to school before some of her friends so I like to give her something special on the first day. 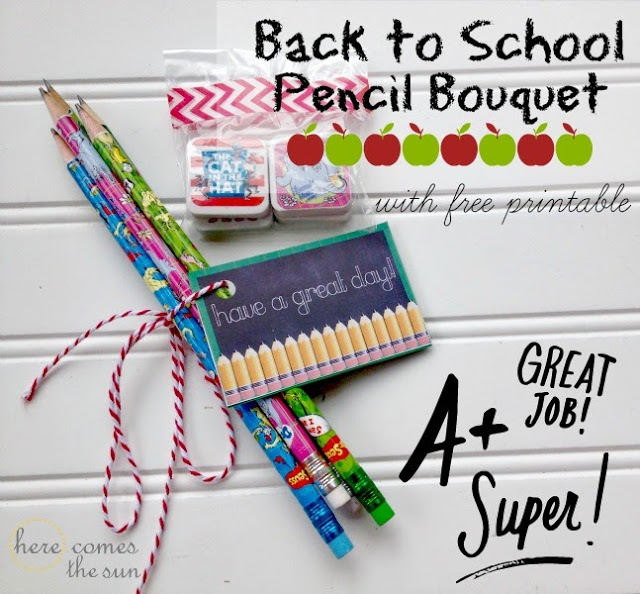 I created this adorable Back to School Pencil Bouquet. Your kids will love it when they open their backpacks at school to find this little gift waiting for them. 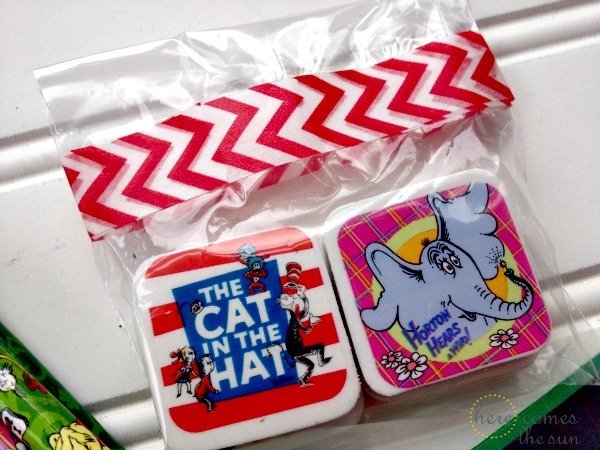 Just tie some pencils together with bakers twine, put some matching erasers in a cellophane bag, seal it with washi tape and you have the perfect “first day” gift. 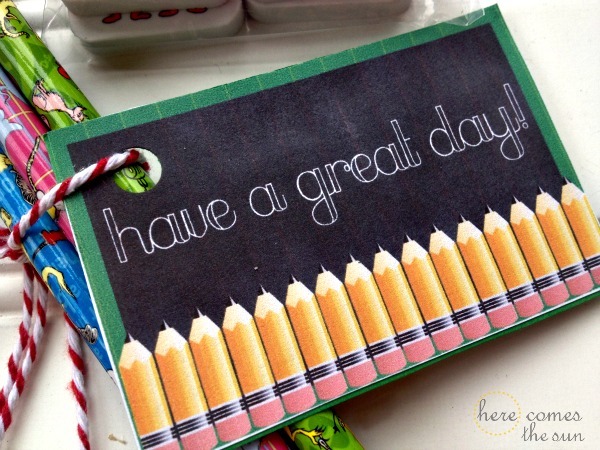 And I’m giving you all some “extra credit” with a free printable tag! 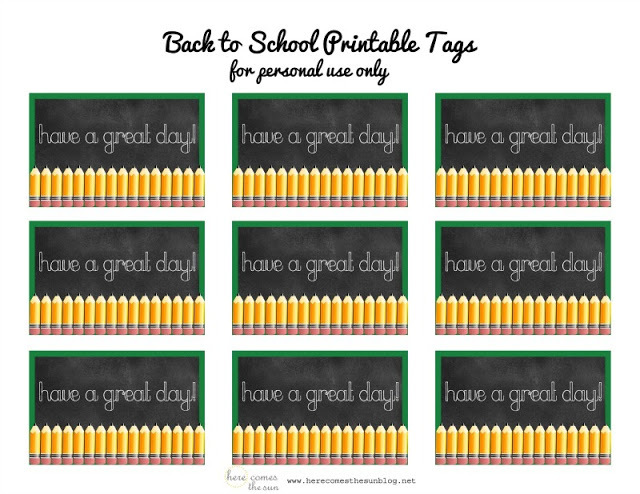 This printable isn’t limited to the first day. 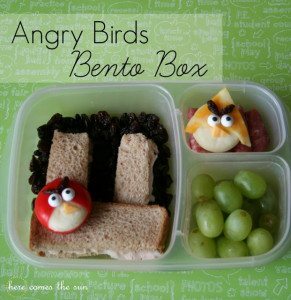 You can use it in a lunchbox, inside your child’s folder or attach it to special treats all year long. « DIY Stenciled Bag for Less than $5!